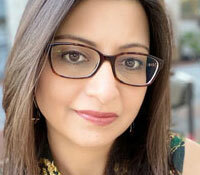 Dr. Nadia Ansari graduated from the Shifa College of Medicine. She completed her pediatric residency at New York Methodist Hospital in Brooklyn, New York where she also served as chief resident. She has recently relocated from Iowa where she was practicing Pediatric Primary Care in Sioux City. Dr. Ansari is board certified and is a Fellow of the American Academy of Pediatrics. Her main area of interest is on well child care and preventative medicine. Dr. Ansari lives with her husband and two daughters in Ellicott City. She loves spending quality time with her family, shopping and arts and crafts.